The base of the Page Builder is its Sections. The Section is what ‘wraps’ the group of widgets that you set in the page. By clicking on Section Settings you can find many useful options to make the page more designed and creative. 1. 100% Width – Displays the content from one side of the site to the other, with no regard to the site’s general width and margins. Every section can be set with a different background, this way creating a contrast between the sections, allowing enjoyable browsing and very designed pages. 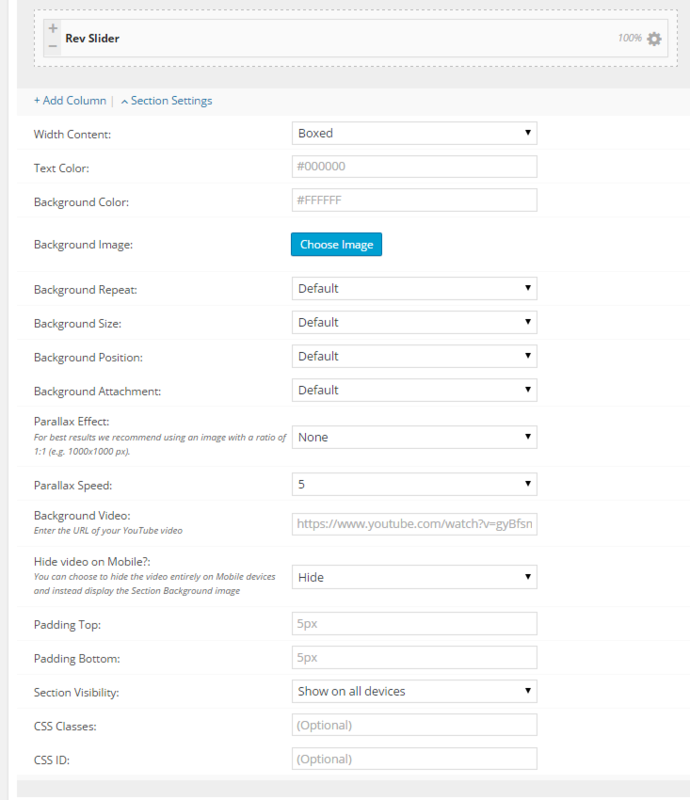 Background Image – If you set the background image, it will be displayed above the background color (if you set a color). To every section you can add CSS Classes for full controll over the section design by using the external style.css file or CSS ID which allows you to place a unique anchor in every section, very useful for a One Page.